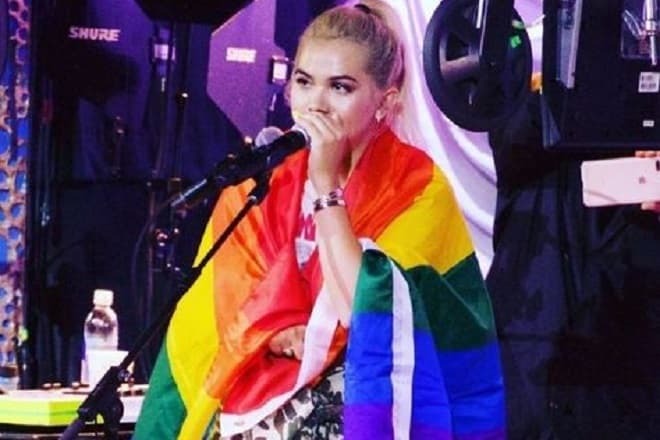 Hayley Kiyoko Alcroft is an American singer, actress, and a model (in childhood). Hayley has a very interesting ethnicity. 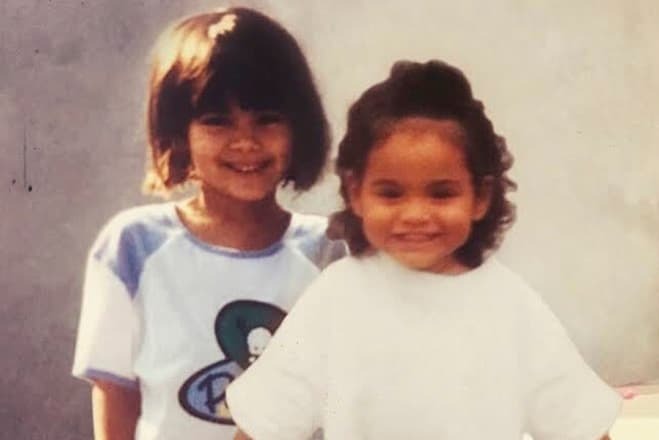 Her mother has American and Japanese descent, and her dad has American, English, Welsh, Irish and German ancestry, so it’s a nice mix of lots of nationalities. Being a biracial person was always hard for Hayley, for instance, while finding the acting roles. Hayley was born in 1991 in a creative family. Her mother, Sarah Kawahara, was a choreographer and her father, Jamie Alcroft, was an actor. When Kiyoko was a child, she was a very active one. At the age of five, she had a photosession with her friend that ended up in an ad for "KnowledgeWare." She began acting and was a model for a lot of advertisements for commercial companies. When Hayley was in the 7th grade, she got herself a business agent and started booking the auditions. Besides the acting part, she has taken drum lessons and dance classes. When she was eight, she wrote her first song named "Notice." In 2007 she created her own small band and called it "Hede" after her grandfather. He died in 2011, and it was a huge commotion for Hayley, her granddad was always the biggest inspiration for her. Speaking about other girl’s achievements, Kiyoko was elected as a President in middle and high school. She has also produced and choreographed "The Agoura High Step Team" which became an official school club after all. After her graduation in 2009, she got an invitation to Clive Davis School of Recorded Music at NY University, but she declined this offer because of her career. Hayley’s music career has been developing with her acting at the same time. At 2009 Kiyoko starred in her first big movie "Scooby-Doo! The Mystery Begins". Next year, she got the episode role in "Disney's Wizards of Waverly Place." In 2010 she starred in the Disney movie "Lemonade Mouth." In 2013 the singer released her first extended play "A Belle to Remember." For the next EP "This Side of Paradise" (2015) the songs were recorded in her family’s garage in Los Angeles with her producer James Flannigan. Hayley co-directed the music video "Girls Like Girls," and after that, she became the only director for her clips. After her birthday in 2016 Kiyoko hit her head, her diagnose was post-concussion syndrome and depression, and she had problems with creation. She started usage of citrine crystal in her treatment, and that was an inspiration for the name of her third EP "Citrine" that was released in September 2016. The song named "Mercy/Gatekeeper" is dedicated to Hayley's depression. On December 2017 the singer announced about her first studio album named "Expectations." In 2018 she collaborated with Marla Vazquez and Naomi Franquiz to create a comic book based on her single, "Gravel to Tempo" (2016). This comic book was sold during the "Expectations" Tour. Later that year Hayley was featured in InStyle's first publication of 50 Badass Women for her work among the famous people such as Ruth Bader Ginsburg and Emma Watson. Also in 2018, the singer had her first stadium performance at Gillette Stadium, she was invited by Taylor Swift to the show. Her fourth headlining tour was really huge: she had concerts in North America (San Diego, Denver, Chicago, Houston, Boston, etc.) and Europe (London, Paris, Amsterdam, Reykjavík, etc.). Hayley was a founder of the band named "The Stunners" that existed in 2007-2011. In 2007 she got advice from Colleen Ann Fitzpatrick (Vitamin C) about creating an all-girl band. So Kiyoko invited Allie Gonino, Tinashe, Kelsey Sanders (later Lauren Hudson was instead), and Marisol Esparza to form their own group. Six months after that the band got a contract with "Columbia Records" and released their debut song "Bubblegum". Then, in 2009, the band terminated the contract, signed a new one with "Lionsgate Entertainment" and created a new single "We Got It" (EP "The Stunners"). In 2010 girls signed the contract with "Universal Republic Records" and produced "Dancin' Around the Truth" (EP "The Stunners") with the duo of rappers named "New Boyz." That year the band was announced to be an opening act on Justin Bieber's "My World Tour." The whole album was in their plans, but the girls didn't make it, "The Stunners" split in 2011. Hayley claimed that she had always wanted to work by herself. Hayley is gay, and her admirers name her "Lesbian Jesus." The singer has already known about her sexual orientation at the age of six, and she told that her parents in sixth grade. As it was said before, Kiyoko has always been struggling with being a biracial woman and the second reason for struggling is being a lesbian. "If you see two girls falling in love and normalizing that, then [people] can go, 'I can fall in love, too. I can be that person. I can look like that. I can get a girl that looks like that.' If they see that, then they can believe it. It's just how we are." After her coming out Kiyoko became an advocate for the LGBT community and its rights. She is considered a gay icon. Her music videos demonstrate her own experiences and different LGBT-related issues. For example, the music video for "One Bad Night" brought up the perception of cruelty against transgender women. For Pride Month in 2017, Kiyoko collaborated with "MeUndies" to promote the particular campaign: each pair of underwear that had been sold had a part of the income donated to the Los Angeles LGBT Center. Hayley usually doesn't comment on her relationship status, so, unfortunately, we don't know if she has any girlfriend. Speaking about Kiyoko's unique details of appearance, she tends to change her hairstyle a lot. She has been with the pink, brown, blond, red color of hair. She usually wears loose hair or a bundle. For now, Hayley still writes songs, and she has some concerts this year. She will perform in Chicago in August and then on two festivals in the United Kingdom. There is no news about upcoming movies, but if we consider that the latest was just last year, there are big chances that she will be starring in more films. Kiyoko’s net worth for the 2019 year is $500 Thousand. 2018 – Jimmy Kimmel Live!